Often called “walk-and-talk” recording, videographers are often confronted with recording the audio of subjects in their workplace or during an interview with two or more people walking in full motion. Here’s how to insure excellent audio. When a video production involves subjects moving about their workplace or in an interview in motion, recording clean audio gets a step more complicated. A typical situation involves a person at work doing their craft or a reporter interviewing that person as they walk through the subject’s environment. There are several ways to record this type of audio. If the subject is moving only a short distance, a shotgun microphone on a fish pole is often the best solution. A boom operator holding the pole can move the microphone to track the person in the shot. An alternative is a wireless microphone. 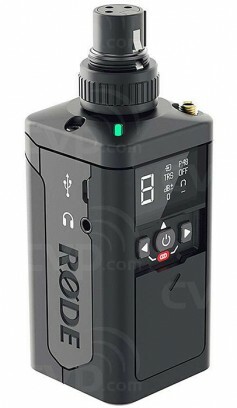 If the subject is moving around corners or through a very wide shot, a wireless mic or recorder bodypack is essential. In most such shots, the desire is to have the recording equipment invisible. Sennheiser AVX Wireless Mic System. A hidden lavalier microphone and bodypack transmitter on each person allows them to move freely in the shot while acquiring high quality audio. The signal is picked up on battery-operated portable receivers, either mounted on the camera or carried by a sound operator. Each speaker, of course, needs their own wireless mic. Each wireless transmitter must be tuned to a different frequency and picked up by a dedicated receiver. Ideally, the audio output from each receiver should be recorded on separate tracks on the camera or audio recorder. This offers more mixing flexibility when editing the video. Another wireless option, this one not hidden, is for the interviewer to use a handheld mic, news-style, connected to a plug-in wireless transmitter. An omnidirectional mic works best because its pickup pattern can easily cover both subjects speaking. Leading wireless microphones systems for this application are available from AKG, Audio-Technica, Sony, Sennheiser, Shure and Rode. 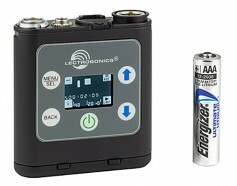 Lectrosonics PDR (for Personal Digital Recorder). Another option is to use a miniature wireless audio recorder on each person. These resemble wireless microphone transmitters in size, but each operates alone, recording the sound on a flash memory card. Among the makers of this new breed of recorder is Lectronsonics, Tascam and JuicedLink. The audio from these tiny recorders is synced with the video’s audio in post production. This can be accomplished through the edit software’s internal audio syncing mechanism or by using a third party application such as Red Giant’s PluralEyes 4. 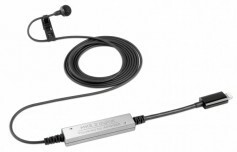 Sennheiser / Apogee MKE-2 Digital Mic for iPhone. Another newer solution is to use an iPhone instead of a portable audio recorder. Companies like Apogee, Sennheiser, Shure and Rode make lav mics and software that enables an iPhone to record on the body of a subject. A professional video crew is expected to be able to capture excellent audio in any situation. Having a boom microphone, a couple of wireless mics or miniature audio recorders with lavs and the necessary accessories are expected in today’s competitive environment.